We are all unique, we are all individuals. But what does it actually mean to be an individual- someone who is so confidently their self that they do what they do with an air of authority? And by authority, I mean that people see them as having a trusted voice in their niche. Do I go through my day trying to please someone? Do I wait for approval, for validation, to find out if I am worthy today? If today will be better than yesterday? 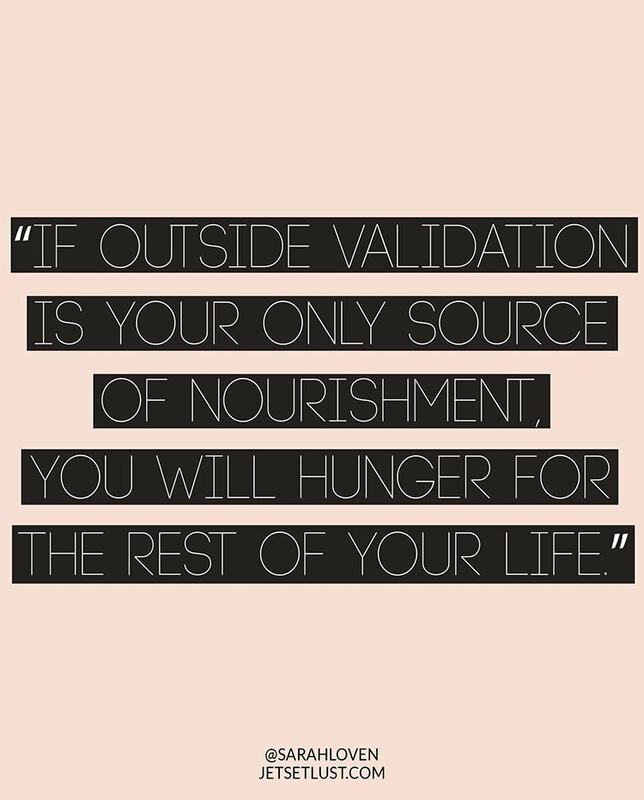 Do I feel powerless or less valuable if I’m not being fed affirmation by an outside source? I see this Individuality epidemic swarming social media- namely Instagram, and especially in the Influencer circles. It’s a sort of lie we are all choosing to believe. Those striving to stand out as individuals are somehow the ones farthest from being individual. The prettiest of girls do it, and the most successful bloggers do it. Even the ones we consider “perfect” do it. It doesn’t matter how impressive their Instagram looks. 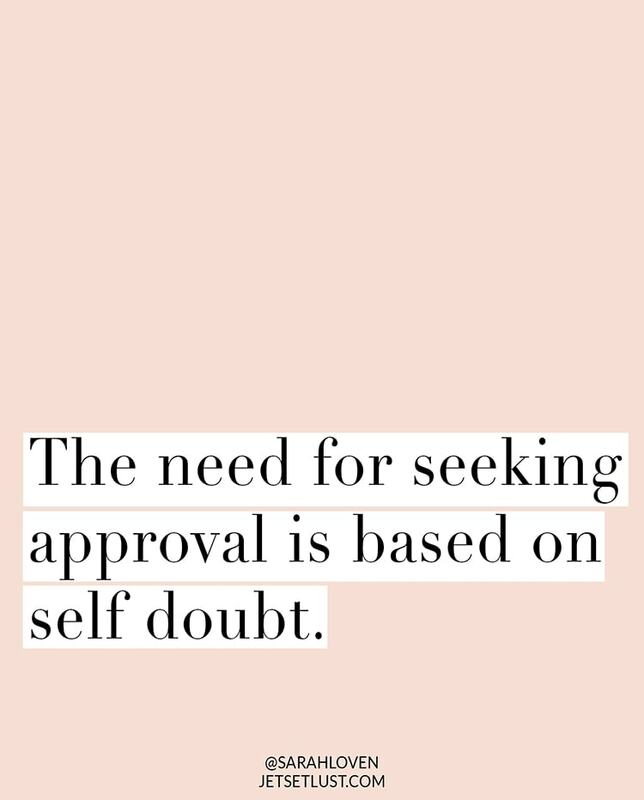 But if you think about it, this staking a claim of being an individual is reslly a need for seeking approval, and it is based on self doubt. The more we post photos online and put ourself out there, the more we wait expectantly for reaffirmation that we did some thing good, we are worth something, we are talented, we look good etc. What is this success even measured against? Each other? A independent individual has no need for validation, if they are confident in their self. Don’t get me wrong, I know we all struggle with confidence- it’s the society we live in. But we only weaken ourselves when we base our strength on what others sum us up to be. 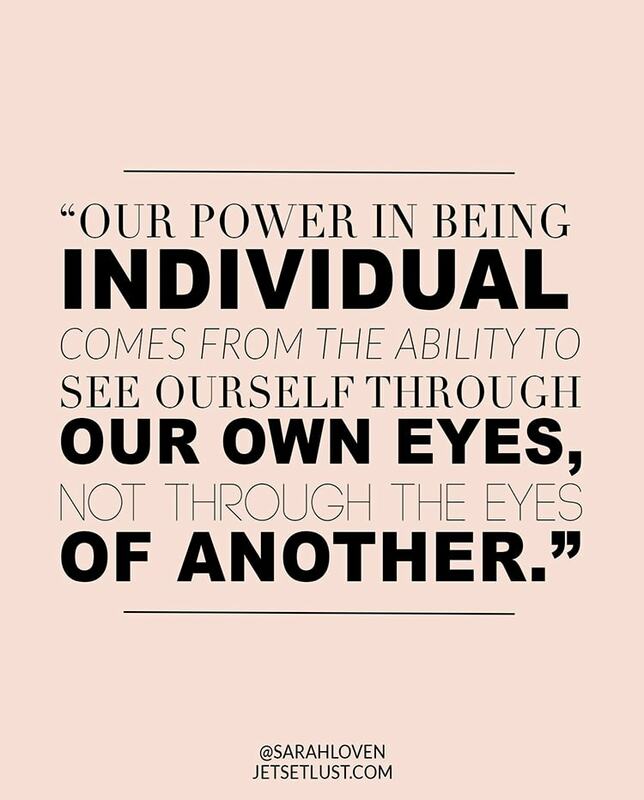 Our power in being individual comes from the ability to see ourselves through our own eyes, not through the eyes of another. To exist in our own personal experiences, and not compare them to another’s. To do it for ourself, and not need another’s like/comment/adoration/approval. Why? Because those others can never really know you how you know yourself, and how your loved ones know you. You are so much more than what strangers could ever see. Social media is a veil which hides 90% of EVERYTHING. So why do we put so much value in the 10% we see/share online? Why do we seek approval of this tiny sliver of us- some of which might not even be true or realistic? This veil can be a positive thing, as we can be as strong or as weak as we allow ourselves to be, and it’s only for ourselves to know. It’s within our own control to improve ourself for ourself. But the veil can also be a bad thing, if we search for that validation in places like social media, countless nameless followers, or others in our life. Remember, they are only seeing that 10%- do you really want to base your total worth on what others judge of the small portion they get to know of you? To be an individual, you must take your power back, and try not to stray from your own unique vision. Only you are living your life, stop waiting for someone else to approve of your experiences for you. You don’t have to do anything their way- what works for someone doesn’t mean it works for you. So there’s no real way they can decide for you anyway. By staying true to you, even if it means you’re not doing as impressive things as some others, you are remaining an INDIVIDUAL. And isn’t that what we place the most value on in this industry, anyway? So stop comparing yourself to others, stop trying to do what they do and how they do it, and start finding out what you have to offer that’s unique to YOU, that no one else can!